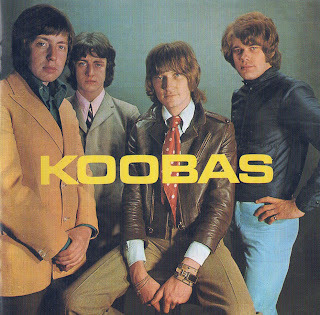 The Koobas were among the better failed rock bands in England during the mid-'60s. Their peers, among the most talented group of the early British beat boom never to make it, included the Roulettes, the Chants, and the Cheynes. Favorites of the press and popular for their live shows, they somehow never managed to chart a record despite a lot of breaks that came their way, including a tour opening for the Beatles, top management representation, and a contract on EMI-Columbia. The group was formed in 1962 by guitarist/singers Stuart Leathwood and Roy Morris, drummer John Morris (who was quickly succeeded by Tony O'Reilly), and bassist Keith Ellis, all of whom were veterans of Liverpool bands such as the Thunderbeats and The Midnighters. The band, known at one point as the Kubas, did a three week engagement at the Star-Club in Hamburg in December 1963 and out of that built up a serious reputation as performers. They had a sound that was comparable to the Beatles, the Searchers, and the Mojos, as Liverpool exponents of American R'n'B with a strong yet lyrical attack on their guitars and convincing vocals. It wasn't until after Brian Epstein signed them a year later, however, that a recording contract (with Pye Records) came their way. They got one false start through an appearance in the movie Ferry Cross the Mersey, starring Gerry and the Pacemakers, playing one of the groups that loses a battle-of-the-bands contest, but the Koobas' footage ended up being dropped from the final cut of the film. Their debut single, "I Love Her" b/w "Magic Potion," failed to chart, as did its follow-up, despite the exposure the group received opening for the Beatles on their final British tour. Coming off of those nine shows, the group was booked into the most prestigious clubs in London and started getting great press, but two more singles failed to dent the charts in 1965 and 1966. They jumped from Pye Records to EMI-Columbia in 1966, and continued to get good, highly visible gigs, including a January 1967 appearance with the Who and the Jimi Hendrix Experience at the Savile Theatre (owned by Brian Epstein), and a tour of Switzerland with Hendrix. The group's sound was a lean yet melodic brand of R'n'B-based rock 'n' roll, similar to the Beatles, though the Koobas didn't start to blossom as songwriters until fairly late, which may have been part of their problem. They recorded good-sounding and very entertaining songs, but somehow never connected with the right sound at the proper moment. By the middle of 1967, they'd altered their look and their sound, moving away from American-style R'n'B and toward psychedelia. The group members also began writing their own material, sometimes with help in the lyric department from their new manager, Tony Stratton-Smith. Their singles still utilized outside songwriters, however, and the group's best crack at the chart came early in 1968 when they recorded Cat Stevens' "The First Cut Is the Deepest," complete with heavy fuzz-tone guitar. Their single garnered some airplay but was eclipsed by P.P. Arnold's Top 20 version of the same song. Despite his best efforts, Stratton-Smith couldn't help the group overcome the failure of their last single. The quality of their gigs and the fees they were earning began declining, and their morale soon followed. By the end of 1968, the Koobas had agreed among themselves to go their separate ways. Ironically, the group's split coincided almost perfectly with Stratton-Smith's final effort on their behalf. Despite the failure of a succession of singles, EMI-Columbia agreed to let the band cut a long-player in late 1968. 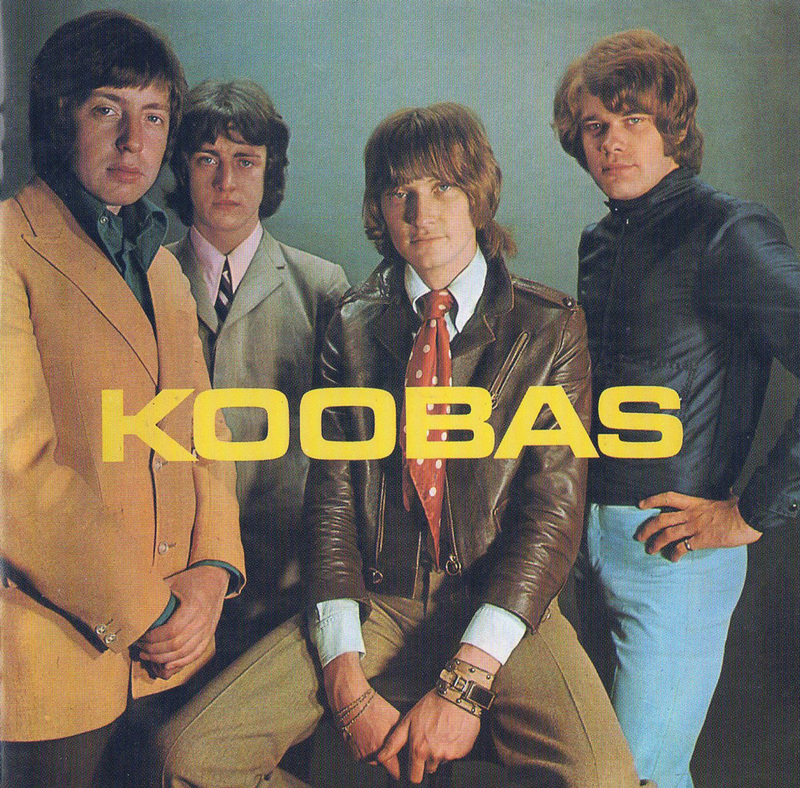 The group lasted just long enough to finish the album, Koobas, a mix of topical songwriting, psychedelia, R'n'B, and nostalgia that might've found an audience if only there had been a Koobas still together to tour behind it and promote the record in early 1969. Instead, by 1970 the album was already in the cut-out bins. Keith Ellis jumped to Van Der Graaf Generator and then Juicy Lucy (with whom he played on the major U.K. hit "Who Do You Love"), and later moved to Los Angeles. Stuart Leathwood became part of the duo Gary and Stu, with Gary Holton, and was later a member of the group March Hare. 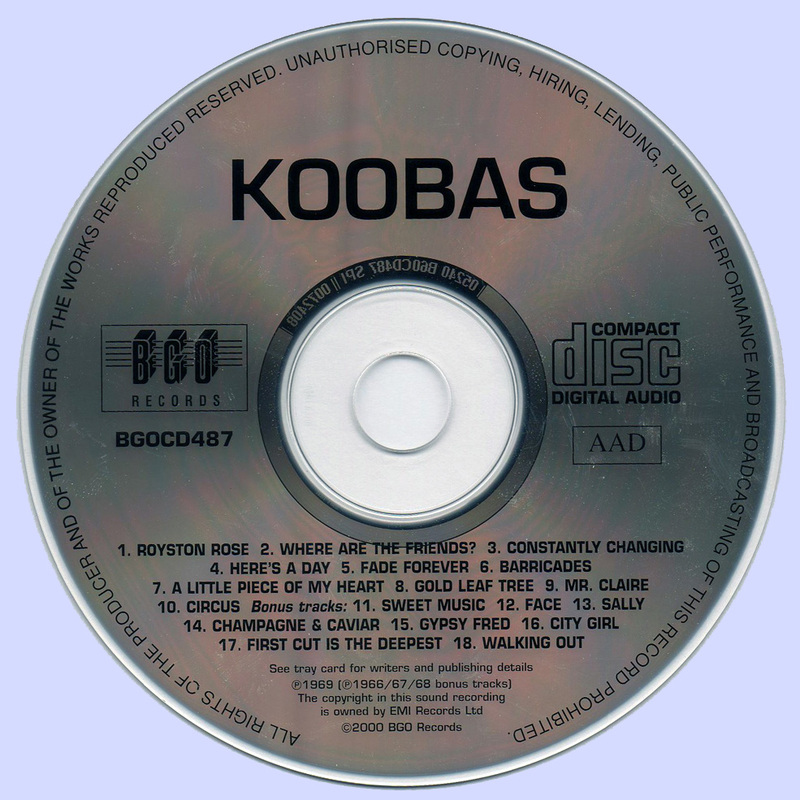 The Koobas' early work on Pye is effectively scattered over several CD releases, including Watch Your Step from Sequel Records. In the summer of 2000, Beat Goes On reissued their self-titled EMI-Columbia album with eight bonus tracks drawn from their early singles for the label, thus assembling their complete post-1966 work in one place for the first time. Great album. A true 'marriage' of great, ambitious pop songs the nascent at the time birth progressive rock. The band he can cleverly balanced proportions, youthful energy and fresh formal solutions in the moment creation LP. What a shame that the album is not released in the year in which it was recorded,perhaps then arouse as such resonance among the audience. In those time, few months of 'delay' on market meant death. After the first hearing of I got the impression that the album offers an unfashionable, boring climates. The compositions seemed przegadanych and neuter. Meanwhile, on closer examination turned out to be untrue. Plate refers to such pop-psychedelic masterpieces like 'The Who Sell Out' THE WHO. 'Ogdens' Nut Gone Flake' SMALL FACES. 'We Are Ever So Clean' BLOSSOM TOES. and 'With Their New Face On' SPENCER DAVIS GROP. Thus graceful songs neighboring, on plate, with a slightly more the serious inserts,dominant in most recordings. 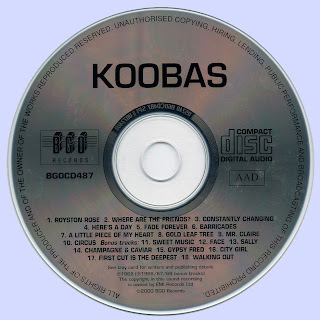 Therefore, in contrast to these titles, the only album Koobas is a big step towards a new progressive rock. Since the album was recorded in 1968, you can find here both the influence of psychedelic freakbeatu and reminiscences. There are a whole bunch of great rock music with distorted guitars and sometimes appearing Hammond organ and mellotron. The whole was leavened various musical tours and contrasts in nature and having a humorous interludes. But as for me, every song boasts a wonderful performance and original tunes. A true musical kaleidoscope. I see here the impact of the Beatles and Procol Harum and the Moody Blues relationship with groups such as July or Fox. But to not to be groundless I will cite a few moments I loved this underrated album. I put in the first place without a second thought dramatic 'Where Are The Friends?'. Preceded by a brief vaudeville pastiche of music, a song sung in the introduction to the accompaniment of classical guitar turns into a wonderful marching song arranged for voices and emphasized bass line and rhythm that gives snare drum. Then the dark 'Constantly Changing' with an interesting counterpoint in the form of background vocalizations on almost ecclesiastical sound of the Hammond. A special feature of this board are these intricate vocal arrangements. You can hear it even in a diversified 'Gold Leaf Tree', which was the basis for a soft ballad sung with the accompaniment of piano, and bass guitar to in the chorus for the moment escalate into monumental march. As an ornament introduced ​​a short accompaniment transverse flute. As for me, almost a perfect album. 'Barricades' adorned with in 'brilliant' sound effects recording as one of the composers signed to Tony Stratton-Smith, later founder of Charisma Records label, which under its wings focused groups such as Rare Bird, Van Der Graaf Generator, The Nice and Genesis. A already so definitively at the end - on the cover of the original LP, you can find two catalog numbers SX 6271 and SCX 6271. The first number suggests that the album had its own version of mono. I suspect, however, that this is a typical mistake company-print envelopes the plates. Yep same incorrect information appear on the cover of Procol Harum's debut and Human Beast. So the only existing stereo version is horribly rare and in a state of near perfection is a cosmos price even of up to $ 2,000. Thanks a bunch, Marios! very nice album. Cheers! Any chance of a re-up of this one please Marios, the links no longer work.